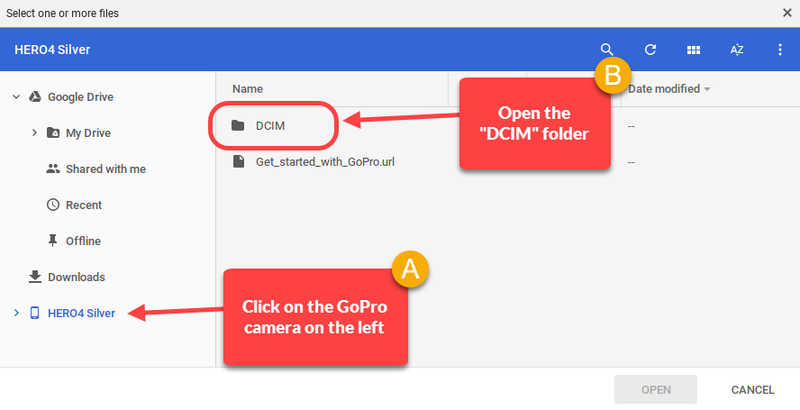 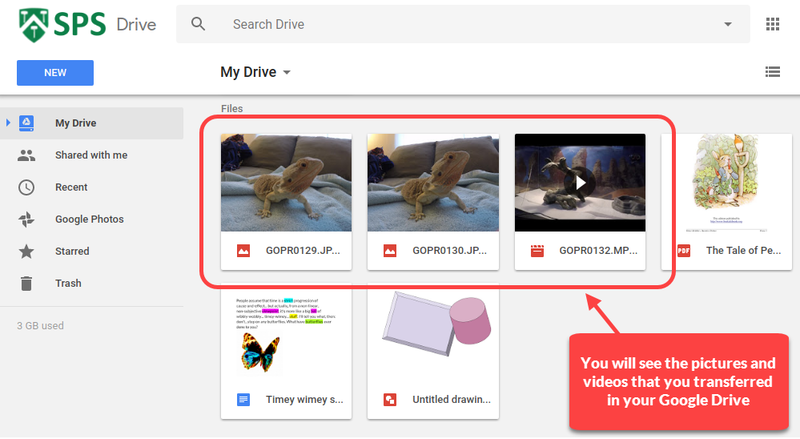 One of the nice things about using a GoPro camera with your Chromebook is that it is very easy to transfer pictures and videos from the camera to your Google Drive. You don't need to install any special software. 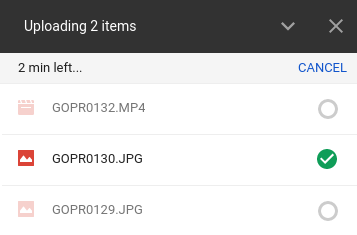 All you need is the GoPro camera, the USB cable that came with the camera, and a Chromebook. 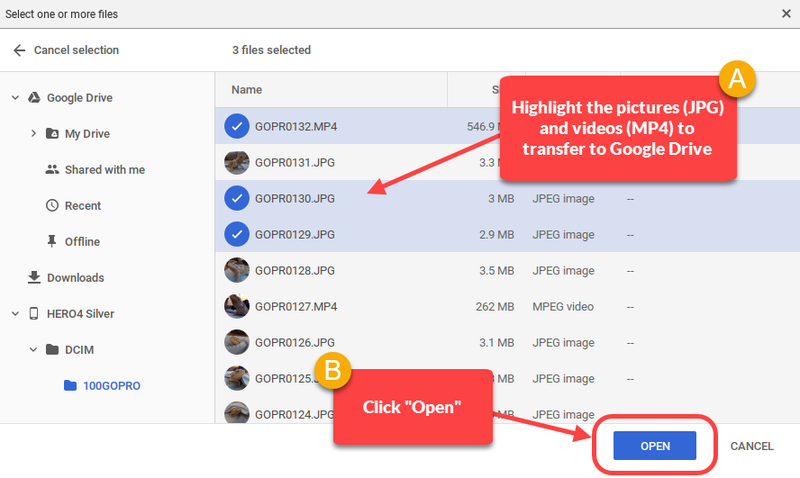 Here are two methods on how to transfer pictures and videos. 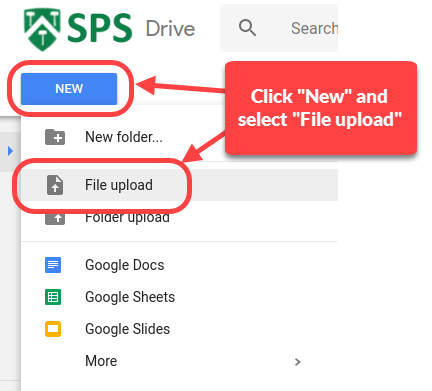 Choose whichever method works best for you and your students. On the left you will see the progress of the transfer of the files. Keep in mind that videos can be VERY large, so the transfer can take a while! 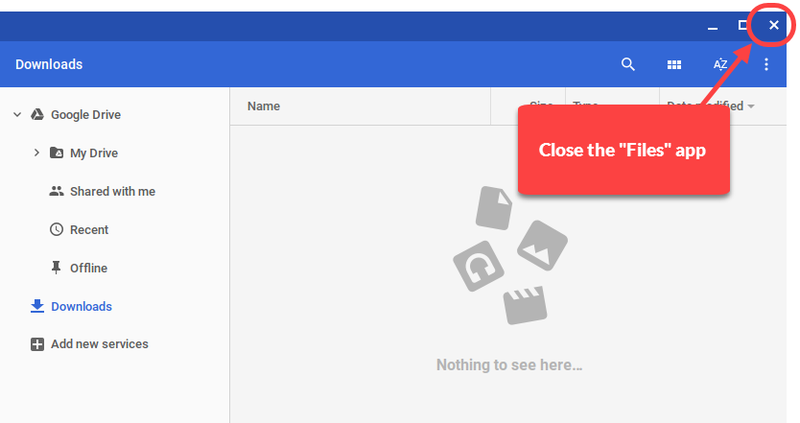 Click "New" and select "File upload"
Highlight the pictures (JPG files) and the videos (MP4 files) that you would like to transfer to your Google Drive. 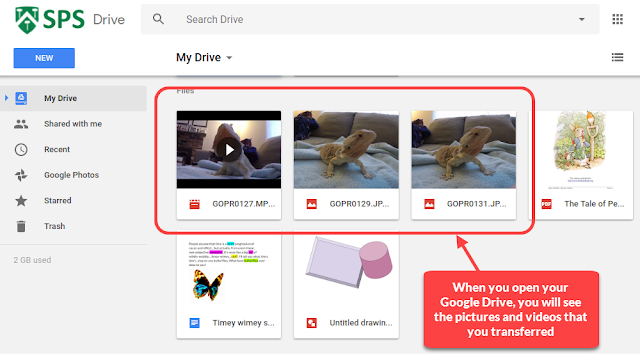 If you hold down the CTRL key on the keyboard while you click, you can select multiple pictures and videos. 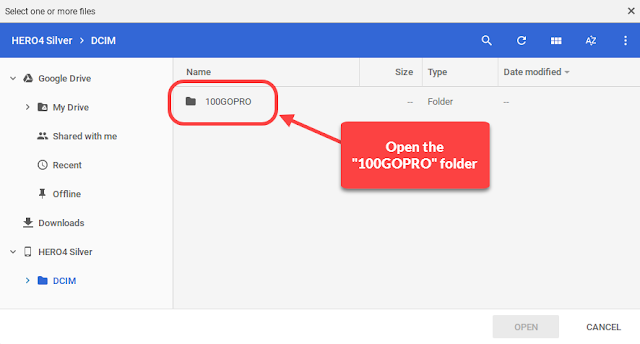 Click "Open"
On the lower right of the screem, you will see the progress of the transfer of the files. 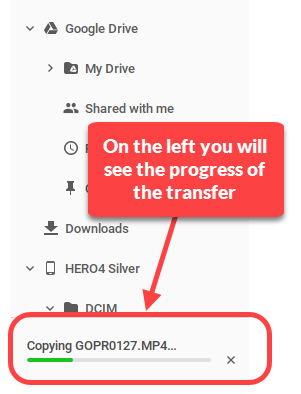 Keep in mind that videos can be VERY large, so the transfer can take a while!